KathodeRay has been getting contractors organized in style for over 5 years. Organization and efficiency is key to the success of techs and contractors - starting with their tools. 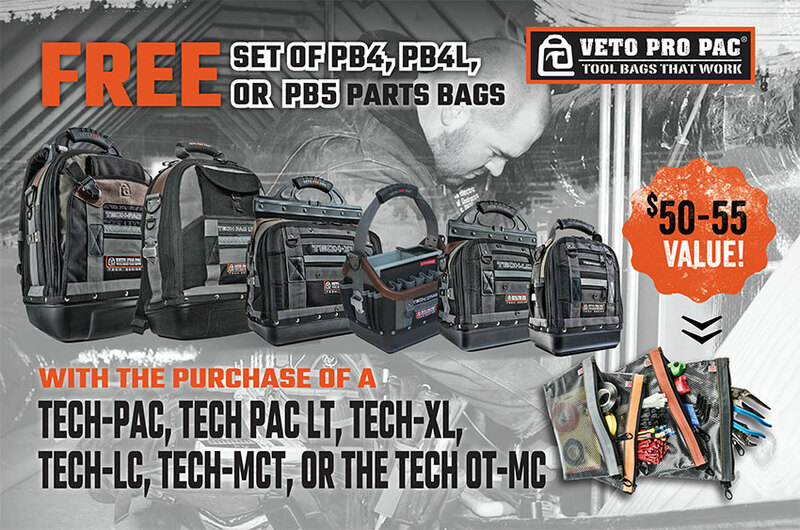 KathodeRay assists Veto Pro Pac with reaching contractors, in a fun, creative and memorable way. Contractors span all ages, so we hit all the demos though a variety of marketing methods - direct mail post cards, email campaigns, and social posts lead their consumers to their efficient and technologically savvy website. Look up a local dealer or shop online, whichever your preference. Direct mail postcard announcing free offer.